The update Mini showcased at the Paris Motor Show recently is scheduled to reach the Indian shores by early next year. Ahead of that, BMW has started teasing the car as a part of their promotional strategy here… They are also running a promotional campaign the winner of which will have the chance to be one of the first to drive the new Mini in India. The new Mini is already on sale in most countries and will be a great addition to the premium hatchback segment. Being a major update it gets a boost in terms of power. The 1.5 L petrol produces 134 PS of power and 219 Nm of torque while the 1.5 L diesel produces 114 PS of power and 269 Nm of torque. The top end can be expected to get the 2.0L four cylinder turbocharged petrol which produces 189 PS of power and 300 Nm of torque. A smaller capacity version, called Mini One with a range of 1.2 L turbocharged engines are also available internationally which focus on fuel efficiency, but it is unlikely to be released in India. Being the first model to use the front wheel drive UKL setup, BMW has a lot at stake and expects a lot from it. The car is also bigger than the present version and can be expected to have more interior space. The new Mini also claims to be the first car in the segment to have full LED head lamps and tail lamps. 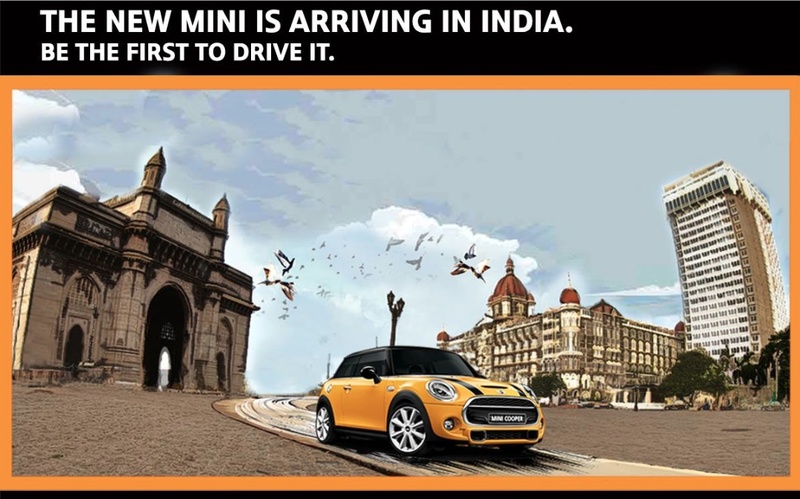 The Mini will continue to be brought in India via the CBU route and will therefore sport the premium price tag.